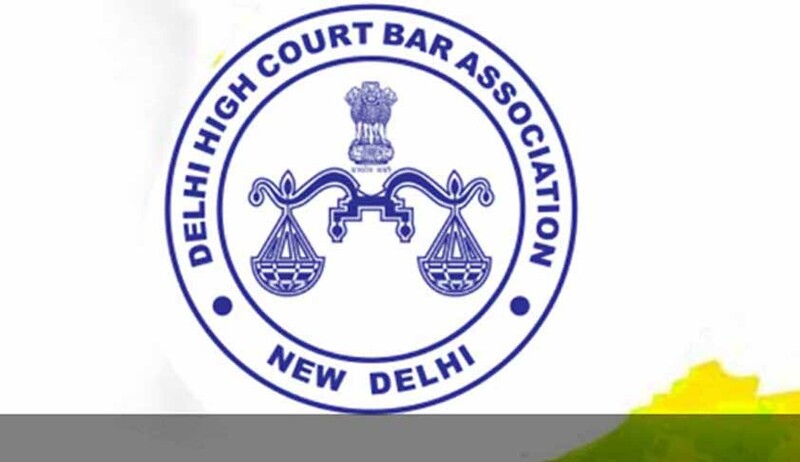 The Delhi High Court on tuesday modified its May 31st judgment that directed ‘one bar, one vote’ system for bar association elections in Delhi. A division bench of Justice Ravindra Bhat and Justice Sidharth Mridul partly allowed the applications seeking clarification on some aspects in the judgment. Applicants have sought a modification of the judgment in two respects - firstly the reference to the “past one year” should be substituted with a reference to having not voted in the previous election in the bar associations (other than in which the elector proposes to vote) and further that the reference to elections “this year” should be similarly modified. The second is that an appropriate mechanism for preservation of election records, particularly declarations and electors and candidates list together with mechanism for implementation of judgment, should be indicated. The Bar associations oppose this move on the ground that the application is not bona fide as it is belated and that this court should not further meddle in its political processes. The bench observed that the lack of uniformity in the tenure (the number of years for which a particular Bar association’s office bearers are elected to hold office) would mean that in a given previous year, if there were no election in some bar associations, multiple voting in Bar associations’ elections would be permissible. The bench held that the applicant’s grievance is well-founded; instead of reference to a previous year, the court accepted the claim for modification of para 52(a) of the main judgment. The court was of the opinion that at present the materials on record nowhere show that the voters’ list or any other related material are to be preserved according to the constitution of any of the bar associations. “Accordingly, the main judgment requires suitable modification. Likewise, an appropriate institutional mechanism to oversee the elections and ensure that the directions are complied with, too, has to be factored. The failure to do so will in effect render the directions devoid of vitality and substance,” the bench said. (a)(i) For every election, the bar association shall constitute an election committee of three members. This committee shall be formed three months before the end of the tenure of the office bearers of the bar association. The committee shall comprise of two advocates with not less than 20 years’ standing, who would not contest in the forthcoming elections, chaired by a judicial officer not below the rank of additional district judge of five years’ standing nominated by the district judge concerned. (a)(ii) Such election committee would be responsible for the task of verifying the declarations and preparing the list of members eligible to vote having regard to the directions in para 52(a) above. Such list shall be prepared and displayed for objections after which the final list of voters shall be prepared at least four weeks before the date of voting. (a)(iii) The chairman of the election committee, i.e. the judicial official concerned, shall ensure the preservation of the records relevant to verify the declarations. Such records, including the declarations given by the members, the final list of voters and the final list of candidates with their declarations shall be kept in the custody of the district judge concerned and available for scrutiny. The district judge shall, in turn, ensure that such documents are digitised and kept in safe custody. Later, the bench delivered another order with more clarifications. The directions contained in paragraph 13 of the said order shall have to be modified suitably, in view of the circumstance that the election of the office bearers and members of the Executive Committee of the Delhi High Court Bar Association is scheduled to be held on Friday, the 18th November, 2016, and the schedule for the elections, under the auspices of the Election Commission constituted by this Court, as recorded in the order dated 30th September, 2016 in C.M. (M) 950/2016, has already been fixed vide order dated 3rd October, 2016, in W.P. (C) 8179/2016. It is accordingly directed that the said orders with respect to appointment of an Election Committee would be – for the elections (to the Delhi High Court Bar Association) underway presently shall be in terms of the said orders dated 30th September, 2016 and 3rd October, 2016. It is further clarified that the reference to a senior Additional District Judge and District Judge shall be substituted by the Registrar General and a serving Registrar (from amongst officers of Delhi Higher Judicial Service with 5 years’ standing), in the case of election to the Delhi High Court Bar Association, for future elections. These modifications will apply appropriately in the case of the Delhi High Court Bar Association. Further, all records – i.e. voters’ list, declarations and candidates’ declarations shall be preserved by the Committee constituted by this Court in its order dated 30.09.2016 and 03.10.2016 and handed over to the Registrar General for digitization and future use/reference.